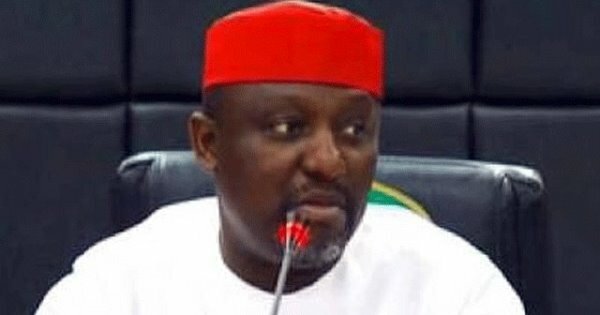 Okorocha pledges to support son-in-law as Imo state next governor – Royal Times of Nigeria. Imo state governor Rochas Okorocha has vowed to throw his weight behind his son-in-law, Chief Uche Nwosu, if he eventually declares his interest to contest the 2019 governorship election in the state. Governor Okorocha made the vow when officials of the All Progressives Congress (APC) and leaders from Owerri Municipal Council visited him, on Monday, at the Government House, Owerri. He noted that his support for Nwosu was based on the latter’s ideal leadership qualities, disclosing that allowing Nwosu, who is presently his Chief of Staff, to succeed him in 2019 would guarantee the sustainability of his monumental achievements which, he note cannot be left in the hands of any-how person. He, however said that Nwosu has not intimated him of his interest to contest for the seat, but assured that if he did, he would support him. According to Okorocha, “Uche Nwosu is hardworking and never gets tired. He is a very humble young man; not proud, not arrogant.